Yogurt Hacks – Mix, Coat, Swap and Top | JPMA, Inc. 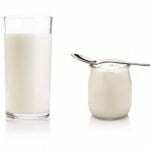 Healthy bacteria (also called probiotics) that can improve your digestive health. Yogurt Hacks For Better Health. Yogurt is great for adding protein or replacing higher fat foods.